Want to catch fish, hook up with us! HomeCharter InformationProducts & Contact FormPics & HighlightsTrophy Page! HomeCharter InformationProducts & Contact FormPics & Highlights2010 Trophy Page! Welcome aboard the Baby Duchess! 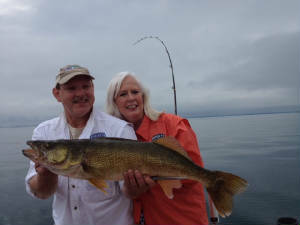 The Fishunter Charters crew members, will see to it that you and your party will have an opportunity to catch some of the trophy size fish in the Eastern Basin of Lake Erie. 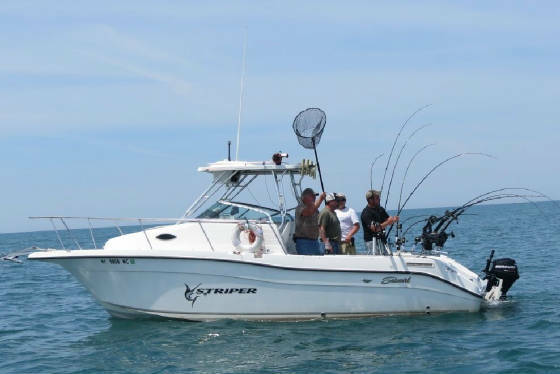 Our vessel is equiped with GPS, Fish Finder, Ship to shore radio, and all the coast Guard Approved Safety Equipment required to be a Charter Vessel. 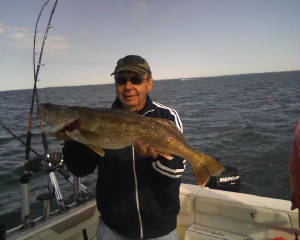 Fishunter Charters will supply all the equipment, bait, and tackle needed to go fishing. Take a look at the check list on the Charter Imformation page for what is needed to bring with you. Fishunter Charters will take your party of 1 to 4 people where the fish are on the Eastern Bassin of Lake Erie for Walleye! We offer 5 Hour and 7 Hour plus charter trips. 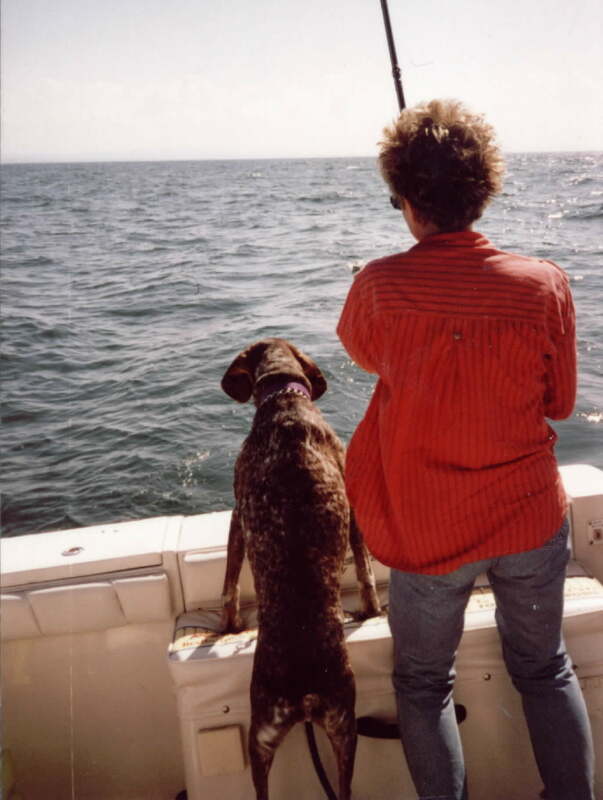 First mate Pam and our fishing coach!